It’s hard to believe that May is already here… like whaaaat?? 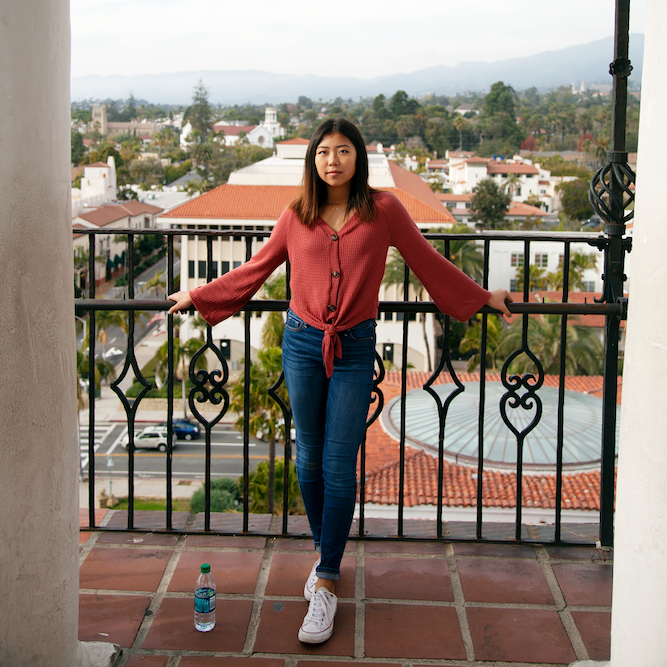 Where did April go? I feel like I’ve said this at the end of every month, but 2017 is already moving so fast. Before we know it, summer will be here and I’ll be sitting outside, in 100 degree weather, eating a big slice of bright red watermelon. I can’t wait! The first “official” day of summer is sometime in June, but here in Texas it’s going to feel like it a whole lot sooner. But first, before I get ahead of myself, we have to make it through May. 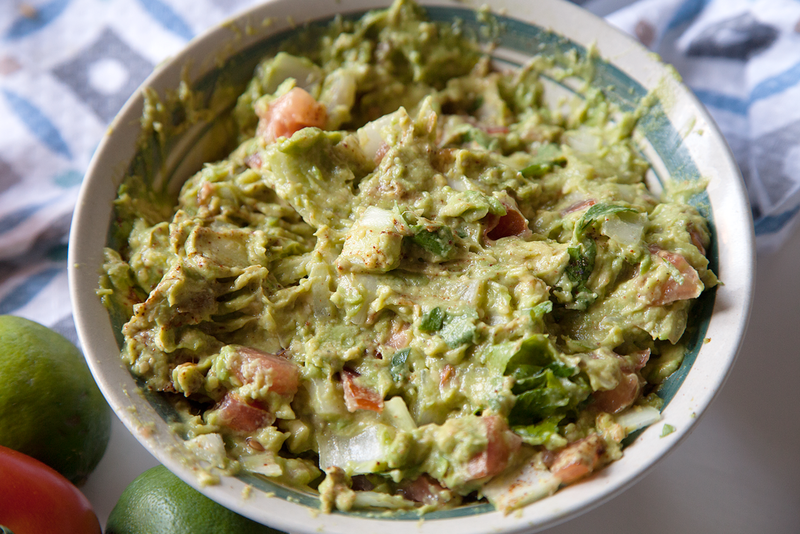 Obviously because Cinco de Mayo is in a couple days, it’s only fitting that I share my classic tableside guacamole recipe with y’all! One of my all-time favorite restaurants, Mi Dia From Scratch, serves this phenomenal tableside guac. 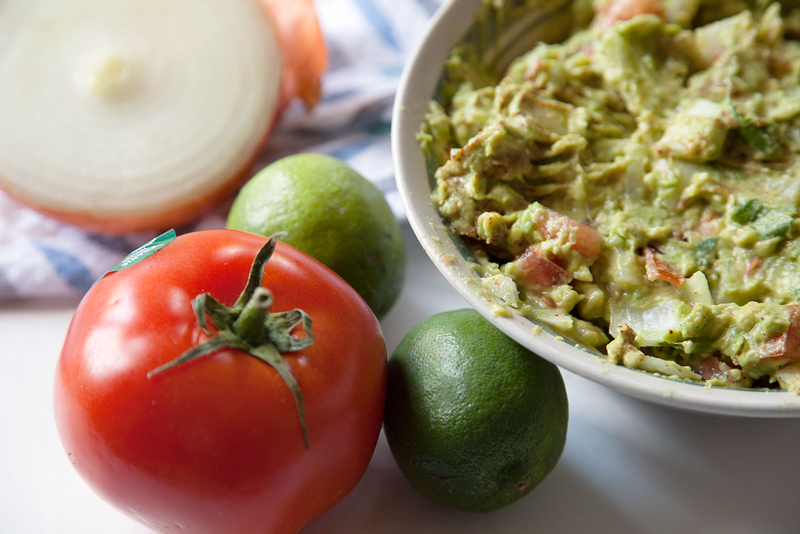 They add in all of the essential ingredients needed to make basic guacamole (onions, avocadoes, tomatoes, etc. 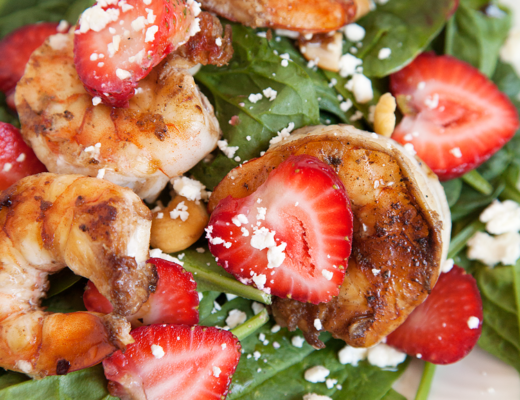 ), but they throw in sundried tomatoes, bacon, and a whole bunch of other genius add-ins. Although I didn’t add anything fancy this particular batch, I listed them in the recipe below. Feel free to give them a try! I like my guacamole, along with everything else I eat, to have a nice kick to it. 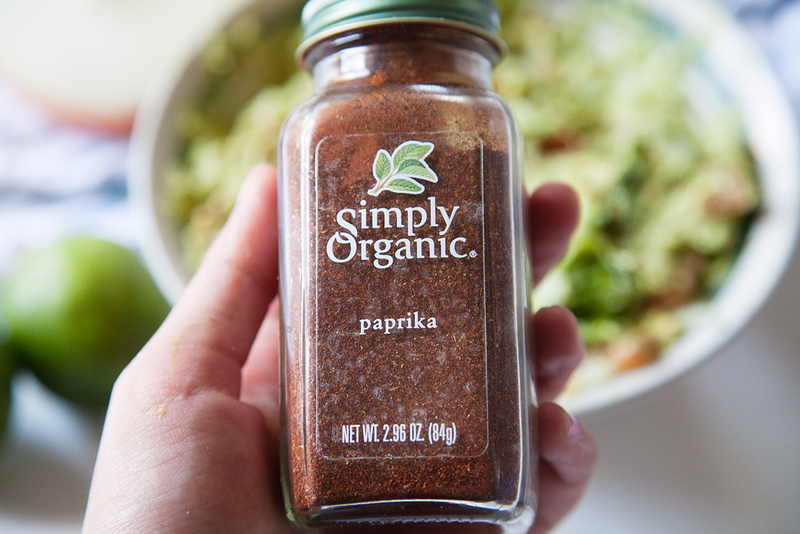 In addition to jalepeños, I even added 3/4 tsp of smokey paprika (which you can buy here ), which takes this to a whole ‘nother level. But if you’re like most people I know, feel free to omit the spices and jalepeños entirely. It will still taste delish, but it is Cinco de Mayo. Celebrate with some heat (if you know what I mean😉)! Also, don’t forget that lime juice is essential. Not only will it give tons of flavor, but it also helps the avocadoes from oxidizing too quickly! Having trouble dicing jalepeños? Click here! So delicious, right? I’m so excited for Cinco de Mayo, only because I love Mexican food (and not because I technically celebrate it or anything). I mentioned a delicious taco casserole in my August Favorites post, way back when, where you can check out here! I know I’ll be stuffing my face with beans, rice, and lots and lots of enchiladas this Friday. Happy snacking! 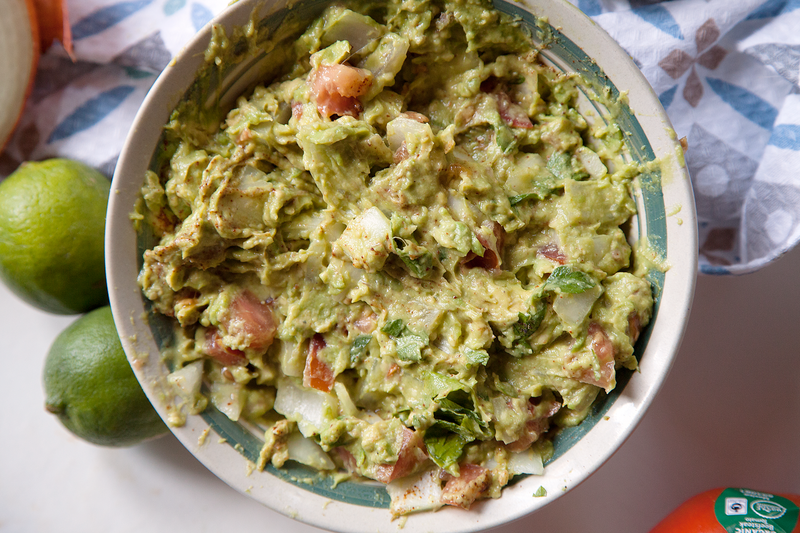 This classic guacamole recipe is a great appetizer at a Cinco de Mayo celebration, or just as a yummy afternoon snack. 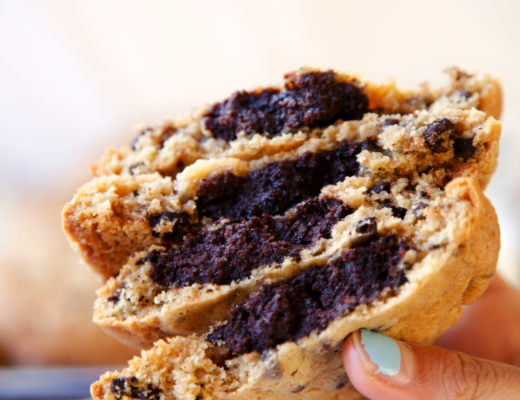 It's super customizable, easy to make, and sure to be a hit at any party or get together! With a sharp knife, cut the avocadoes in half and remove the seeds. 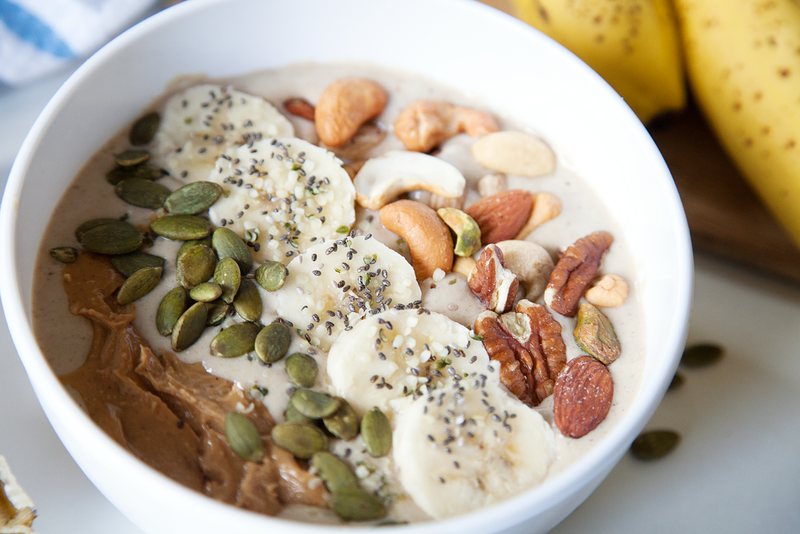 Using a spoon, scoop out the flesh and place in a medium bowl. Using a fork, mash avocado until desired consistency is reached (I personally like it a little bit chunky). At this point, you should work quickly in order to prevent the avocado from browning. Add in lime juice and season with salt, pepper, and paprika. Then, add in onion, tomato, jalepeño, and cilantro. Mix until fully combined. At this point, add in any additional ingredients, such as bacon or cheese. Stir to combine. Garnish with some fresh cilantro, and serve immediately, or store in an airtight container for up to a week. Enjoy! Do you think it’s important to use lime instead of lemon. I always end up using lemon since I get them free from my dad’s tree, but even at WF, limes are pretty cheap, so I could just splurge if you think it makes a difference. 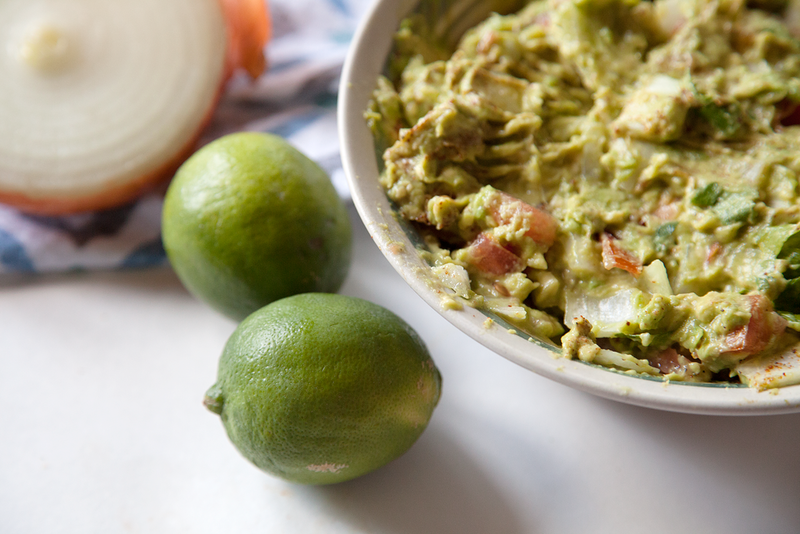 An authentic guacamole recipe calls for lime, because it gives a slightly different flavor. However I personally don’t think it makes that much of a difference so I’d use what you have on hand. Hope this helps! Just getting prepared for our Cinco de Mayo party here in China and it was my responsibility to get the guacamole ready! I was tempted to just go for store bought but having come across this recipe, I’m certainly going to give it a try. Looks incredible!